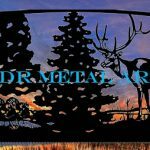 Custom Sliding Driveway Gates | Security and Vehicular Entry Controls - Custom Driveway Gates - Iron Steel & Aluminum - JDR Metal Art - FREE Standard Shipping! Here’s one of our sliding driveway gates. We handcrafted it for a central Ohio homeowner who was looking for ideas on how to add some added security to his property. 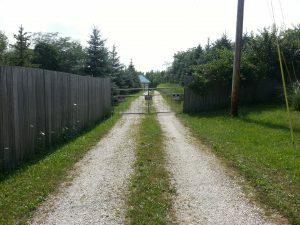 The gate covers an area 12′ wide across the driveway. The gate suspends perfectly horizontal in the air by means of four wheels and a track system built onto the back side of the gate. At no point does the gate touch the ground. There is an additional 7′ frame on the end of the gate which acts as a counterbalance to support the gate when it is in the closed position. Shown below in the open position from inside the property. 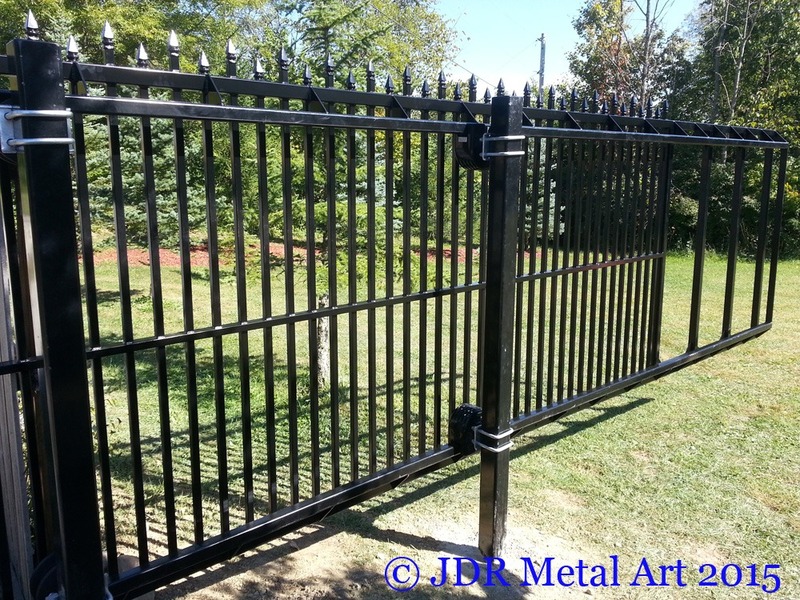 The gate is made from quality American steel. 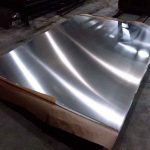 It weighs in at a hefty 800 lbs and yet still slides freely and easily by hand on it’s rollers! A three stage powder coat finish has been applied to the gate for ultimate weathering protection. We are currently in the process of installing an automated power opener so the gates will open with the click of a remote or from the entry keypad. If there’s anything we can do to help meet your needs for a sliding style entry gate then please do not hesitate to get in touch with us for a quote! 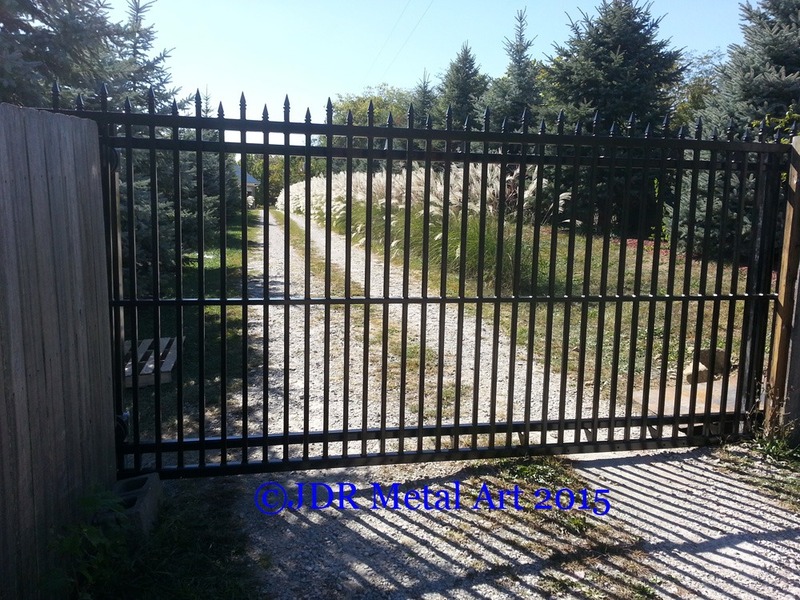 We have affordable delivery and shipping options all across the US for sliding driveway gates up to 50′ in length.